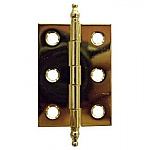 Nickel plated hinge with finials that is simple enough to be used in the kitchen but has enough flair to be used on vintage furniture. 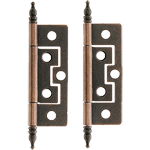 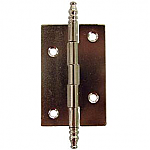 These hinges are smaller in design and can be used on smaller cabinet doors or on other pieces of furniture that require a smaller hinge. 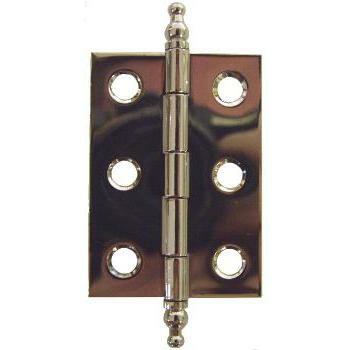 This item is $4.49 when your order exceeds $250 before shipping in qualifying items.